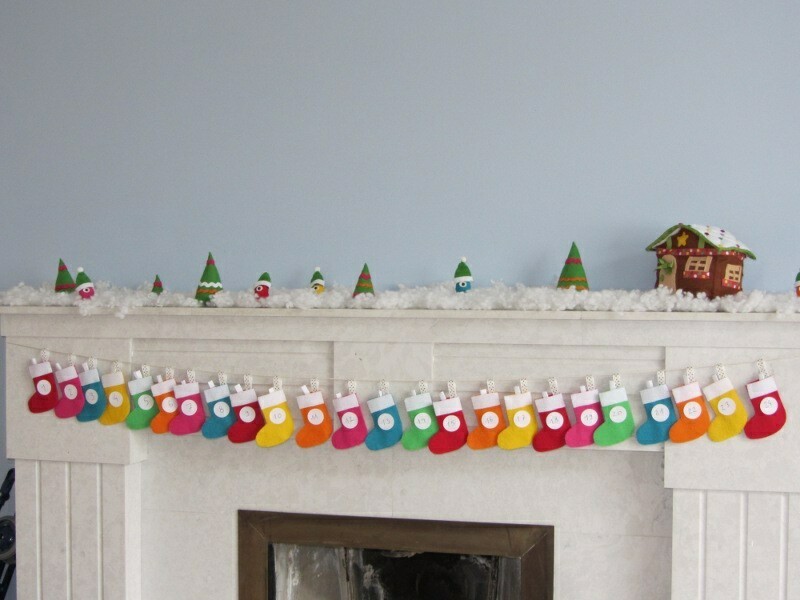 To match the advent calendar I made this year, I have decorated the mantelpiece with various felt pieces. First, I made a couple of friends for La Creature in yellow, blue, orange and red. 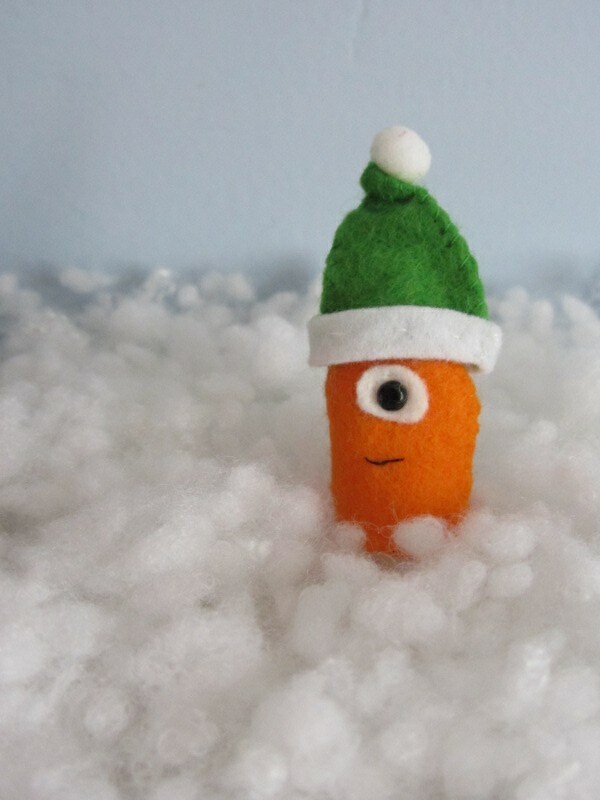 The little creatures were given green Santa hats which make them look like odd little elves. 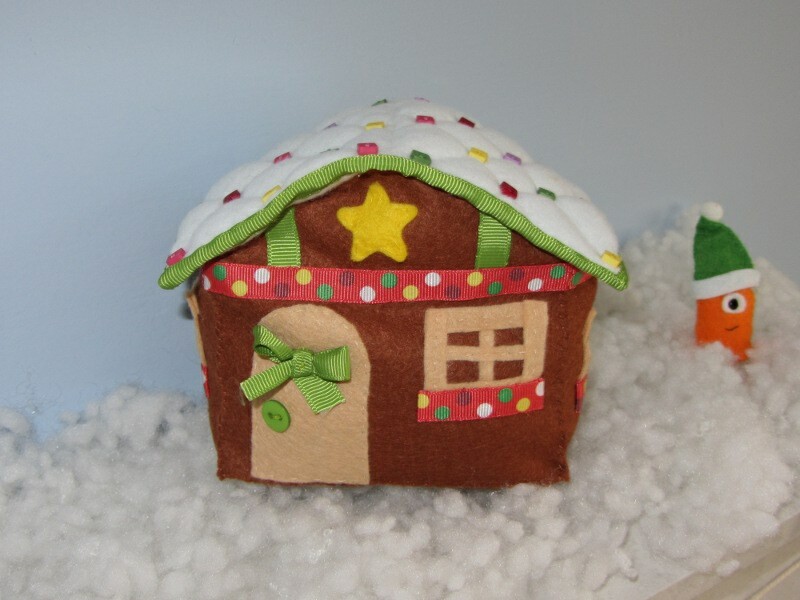 There is also a gingerbread house and some Christmas trees to complete the scenery. 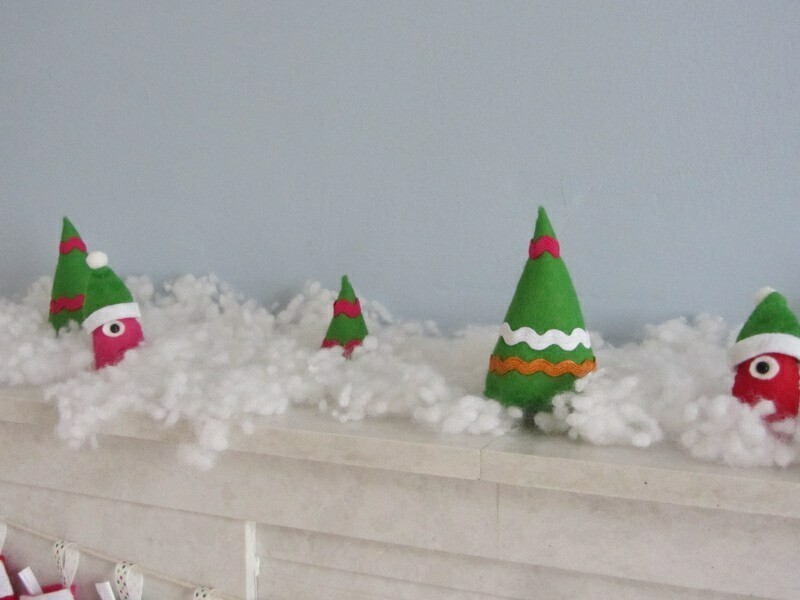 Thanks to some fake snow it really looks like it is Christmas on the mantelpiece. It looks a bit like a snow desert but this is because I have saved space to display Christmas cards. This gives a really nice feeling to the room and I like to sit there in the evening, once the kids are in bed, with the Christmas tree and some telly on.